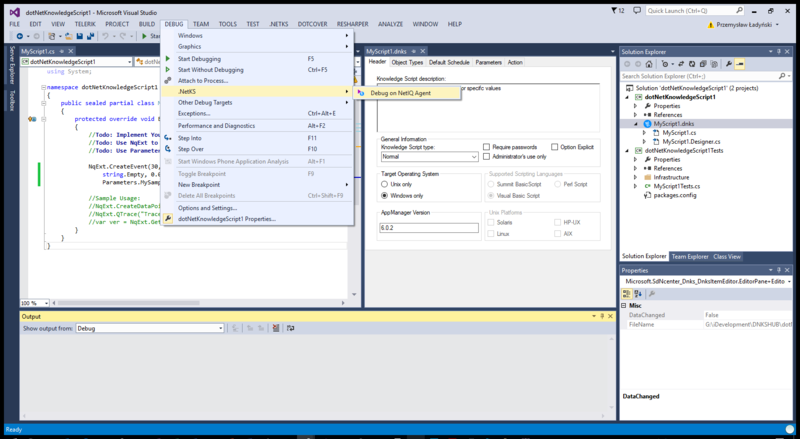 .NetKS is a unique solution that allows .NET developers create more powerful NetIQ/Microfocus AppManager Knowledge Scripts® in less time and at lower costs. 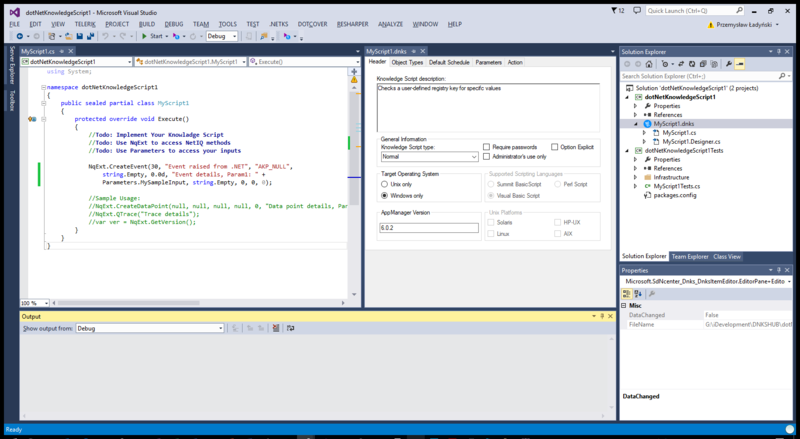 .NetKS is the set of software development tools provided as Visual Studio IDE Extension. .NetKS provides opens the existing NetIQ / Microfocus AppManager monitoring infrastructure for the world of modern systems and solutions allowing developers to utilize modern .NET framework and vendor supported SDKs, APIs and Client Libraries to build better and more powerfull monitoring solutions with C# or PowerShell. 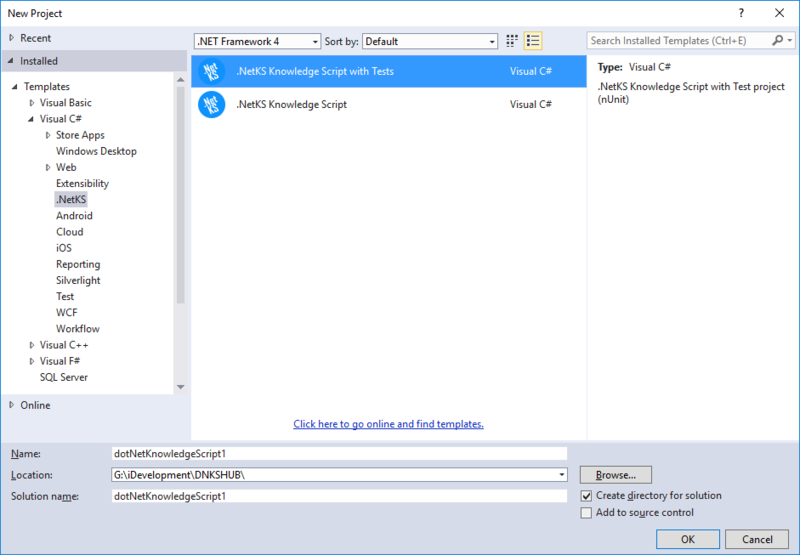 The usage of .NET not only simplifies the development process, aligns it with latest DevOps patterns and practices but also gives wide range of new possibilities by utilizing the .NET framework built-in features, number of commercial and free NuGet packages and any .NET based modules. Implementation of .NetKS in existing environment does not imply any changes in AppManager infrastructure nor on the monitoring agents. Therefore with cost free roll-out to existing monitoring landscape companies can dramatically increase the return of value from the AppManager platform. .NetKS introduces number of benefits from business and developers perspective. The solution is increasing possibilities, simplifies development and testing and improves the quality of monitoring solutions.